Math becomes more fun when you think on the fly! Roll the two 12-sided target dice and multiply them to get a target number. 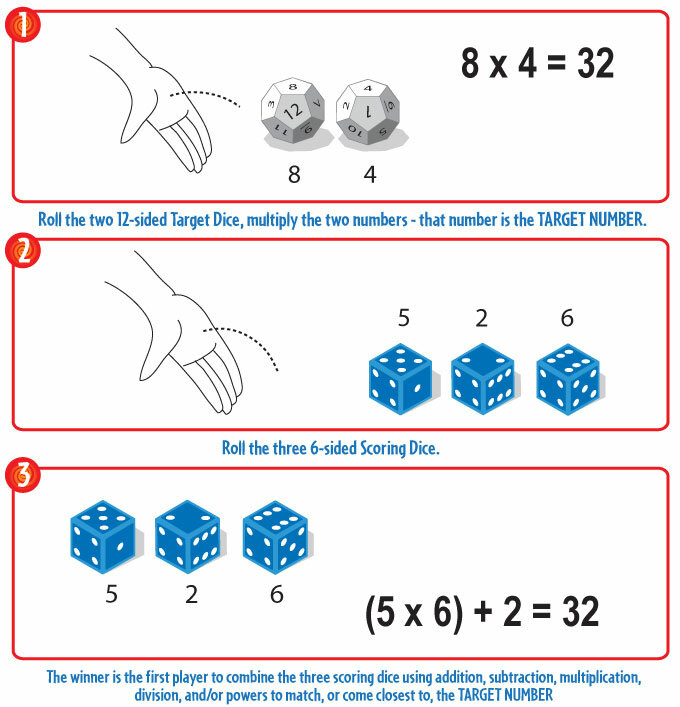 Roll the three scoring dice and combine these numbers using addition, subtraction, multiplication, division, or even powers to build an equation that is closest, or equal to, the target. 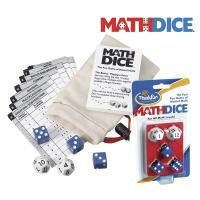 This mentally challenging and fun dice game helps players sharpen math skills by solving problems in a fun new way.